I love this time of year. Starting near the end of September every year, something spooky takes over the movies shown on television. The usual variety of movies changes and the scary, supernatural, and seriously weird take over. From old movies in which you are never quite sure if something unnatural happened or not, to the more recent slasher films where body parts fly, it’s a time of sheer joy for those of us who like that sort of thing. I admit Halloween spooky isn’t for everybody. Some folks don’t like being scared—and there are movies for them too. Not everything is Halloween oriented. Or scary. Or supernatural. Fine. But for a lot of us, scary is good. Ghosts and monsters excite us. Not only are TV movies full of scary stuff, the theaters also generally release a crop of the unknown and frightening. Then there are the television shows. Most of the time they may be regular old comedies or dramas, but suddenly there are twists and odd even in them. For the readers out there, books provide at least some of the spooky and scary. Both fictional and nonfictional accounts of strange happenings, supernatural events, and things that are not easily explained. Even scarier than movies or television, books use our own imagination to created monsters. And they are only as limited as the reader’s imagination. What’s your favorite way to experience scary: movies, TV, or books? Do you like being scared? Learning about things that can’t easily be explained? Do you like this time of year, or do you wish it was Thanksgiving already? It’s no secret that I grew up in a tiny little town just south of Dayton, Tennessee. Well, for a while I did sort of keep that knowledge under my hat. I was a little embarrassed—okay more than a little. I guess I thought small Southern town made me seem a little less…something. Then I wrote a book set in a small town, I called the town Ugly Creek, and I guess I worked out some issues through Stephie. All right, I’ll admit it was more than worked out issues. I realized how much fun it was to set books in little Southern towns. After all, I knew the territory well. I actually set my first novel, Shadows of Evil, in an area much like where I grew up. Shadows, though, mostly takes place on the mountain above the little town of Mountain Shadows. Not to mention, that town is rather spookier than where I spent my childhood. Still, it was an area I was familiar with. Lone Mountain, where Kia lives, is much like the mountain near my childhood home. That mountain is spooky, but then Shadows of Evil is a dark paranormal. My latest novel, The Ugly Truth, is set in Ugly Creek, Tennessee. I took a lot of liberties with my hometown and other nearby towns and made up a fictional place that is the center of some very strange activity. Just how strange? Did you really expect me to reveal everything in a blog post? 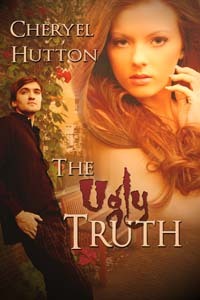 The good news is that The Ugly Truth is free for Kindle until Saturday. If you think you might like reading a light paranormal about a quirky small town with quirky characters, now is the time to give it a shot. Go forth and download. And tell me what you think! The Ugly Truth available only in ebook from Amazon until August 16 when it will be available in electronic and paperback formats from all major book outlets.